I knew that I was long overdue a website update, but am horrified to realise that it has been over 2 months since I have written anything on here! And there has been so much to write! I have been very busy all summer with lots of floweriness, not to mention keeping my 3 children entertained throughout the summer holidays. In early July, I was lucky enough to be part of the Flowers from the Farm stand at the Hampton Court Flower Show. It was my first time at the show, and I had such a great time. I got there a bit early and was delighted to be able to walk around and look at all the show gardens before the doors were opened to the general public. It was such a privilege, with the highlight being able to walk through the “Border Control” garden all alone. It was very moving, and certainly deserved the “Best Conceptual Garden” award. 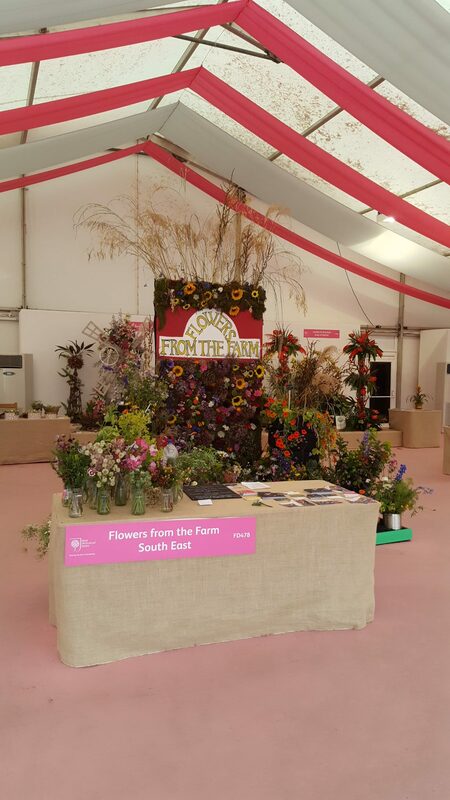 Jay Archer put together a wonderful stand that was created entirely using British flowers grown by Flowers from the Farm members, and she was rewarded for her efforts with a Silver award. Well done team! 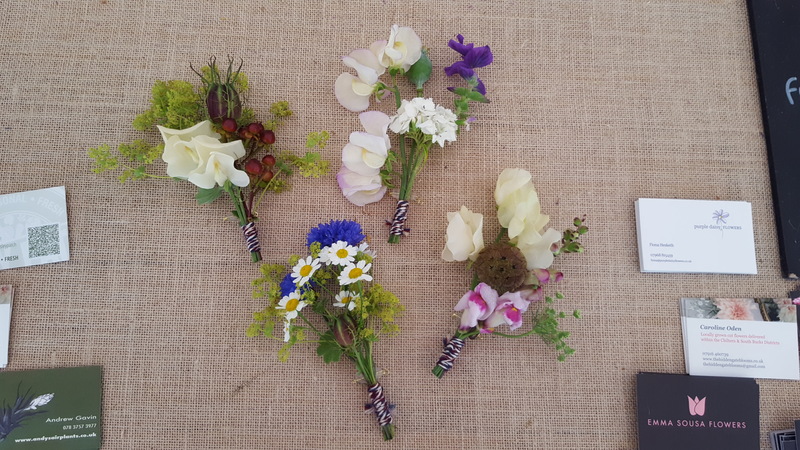 Shortly after the Hampton Court Flower Show, my children started their summer holidays, so I had lots of fun putting together bunches of flowers for their teachers. 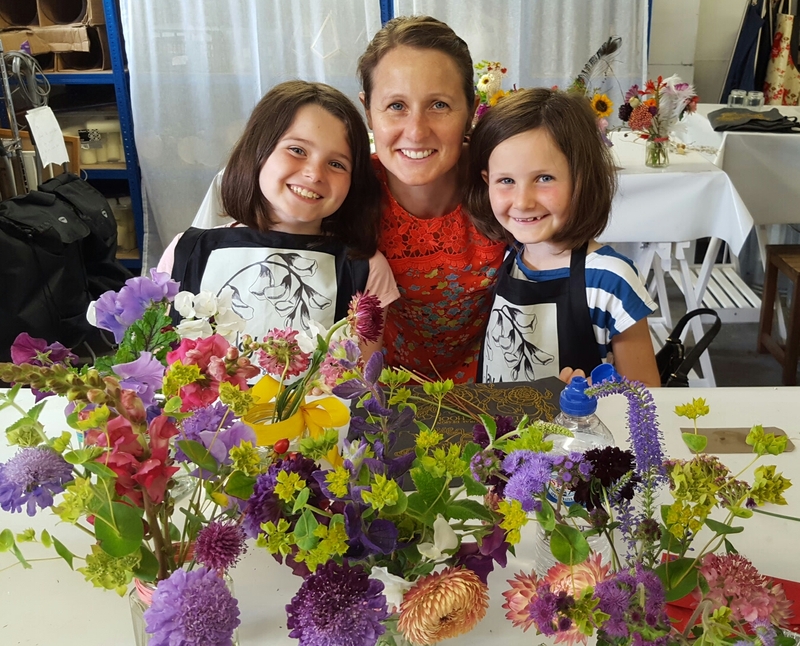 One of the lovely activities that I did with the girls over the summer holidays, was to take a children’s floristry course with Jay Archer. 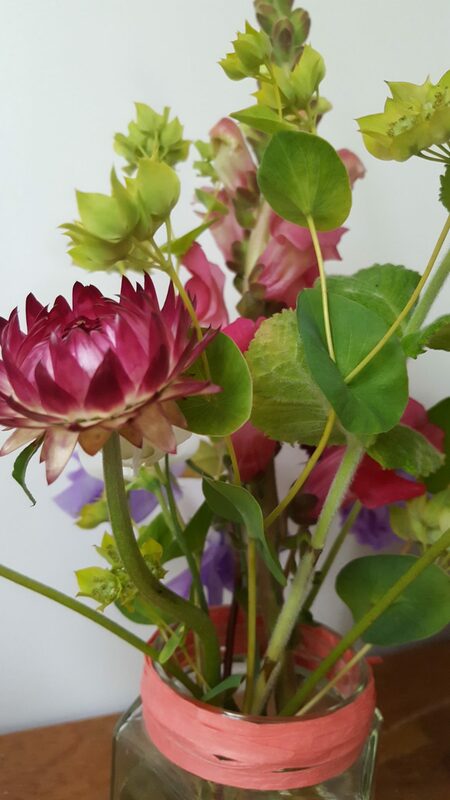 https://www.jafdflowerschool.com. As you can see from the smiling faces, we all had a really nice day out. I was surprised to find that I really liked helichrysums, so they have now been put on the ‘most wanted’ list for 2017. An added bonus is that they last for ages in the vase! Now, the summer has come to an end, so it is time to start preparing for next year. I am mourning the loss of the long days and lovely warm weather, but I’m also getting excited about next spring already! 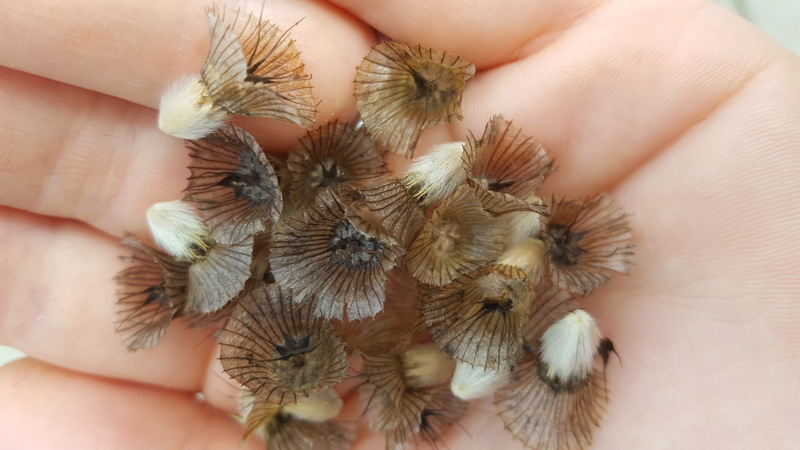 I am harvesting some seeds from plants that I have grown this year and am very taken with these Scabious Stellata Ping-Pong seeds. They are so beautiful! I have started sowing hardy annual seeds in order to get some early flowers next year. 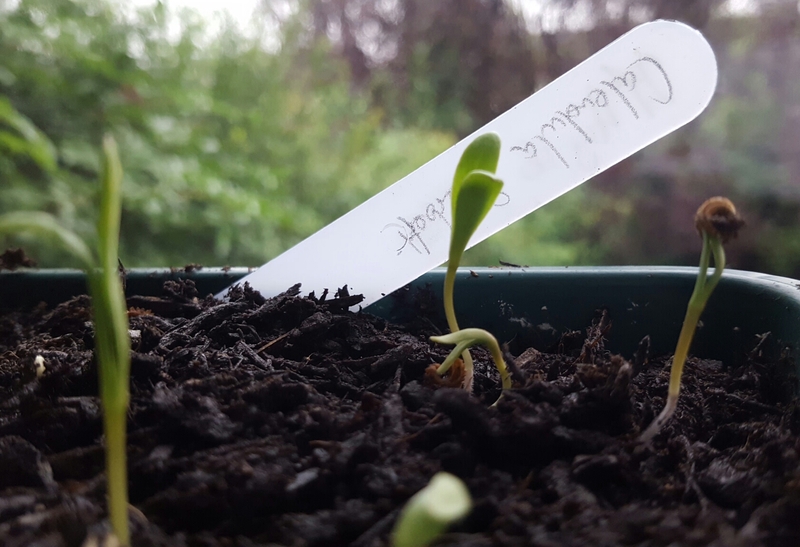 I have never been especially lucky with overwintering seedlings before, but I am feeling confident that with the addition of a greenhouse to my garden (next week hopefully), I will keep some of the seedlings away from slugs. My biennials are already in the ground and I have a few different types of foxgloves growing for next year, so all going well, I will have masses of white, pink & apricot foxgloves from May onwards. And finally, my bulbs have arrived. 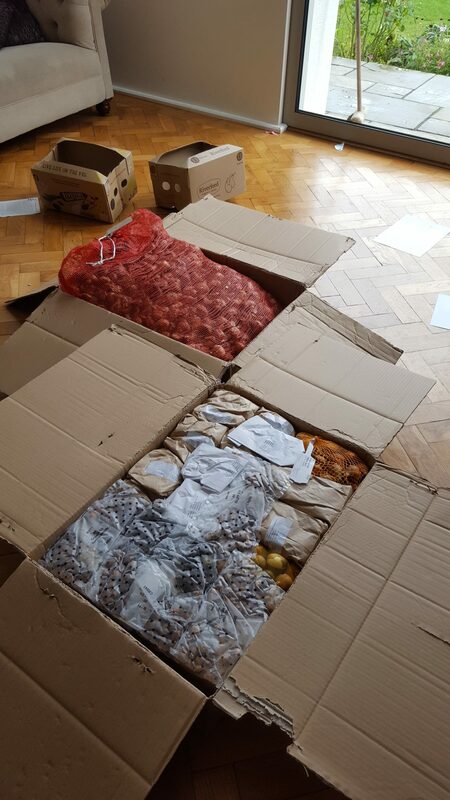 I may have over-ordered….. 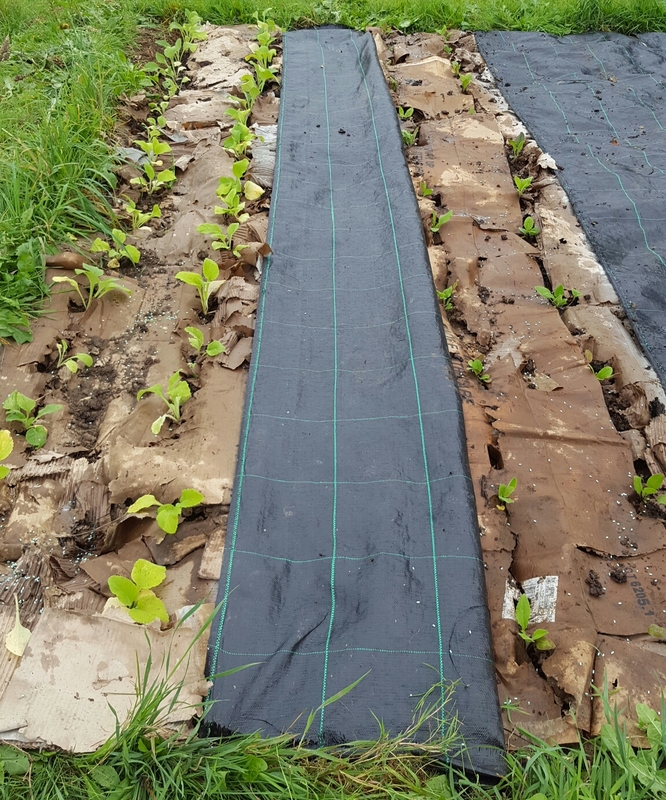 I am really not looking forward to planting out this lot! I hope everybody likes daffodils and tulips! !